Namaste. We’re delighted to invite you to the second Collective in our “Seas the Day” series with yoga by the water! Take a break from the busyness of everyday life and reclaim some time for yourself to de-stress and decompress — all while soaking in the scenic water views at Richmond Beach Park. During this gentle one hour yoga session, you will have the opportunity to center your mind and focus on the present through the experience of postures and breathwork. True to the Carpe Diem philosophy, living in the present can help us live life more fully without worrying about the future or dwelling on the past. You will learn breathing techniques that promote relaxation and ease of movement. Each posture will be linked to your breath to help you find your own flow and rhythm. Postures will focus on proper body alignment with guided modifications to allow you to move with integrity and mindfulness. All levels are welcome and no previous yoga experience is necessary! After restoring and relaxing with yoga, we will sit down for some healthy, seasonal bites and discuss nutrition and food philosophies. Get tips on how to be more mindful in making food choices by listening to the needs of your own body through taste and smell, and learn about simple foods that can make you feel good! We are excited to welcome the multi-talented Brenna Kramer as our instructor for this Yoga & Nutrition Collective. Brenna believes there is an art and science to living well. As a yoga instructor, wellness coach, and cook, she delights in working with individuals to help them create a beautiful and sustainable lifestyle through food, exercise, and adventure. Find out more at www.liveborboleta.com. 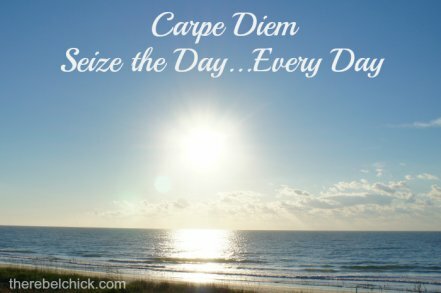 Carpe diem (literally "pluck the day", but usually translated "seize the day") is a phrase from one of the Odes of the Roman poet Horace (Quintus Horatius Flaccus) 65-8 B.C. To the Virgins, to Make Much of Time is a poem written by Robert Herrick in the 17th century. The poem is in the genre of carpe diem, Latin for seize the day. The Siuru literary movement, named after a fire-bird in Finno-Ugrian mythology, was founded in 1917 in Estonia. It was an expressionistic and neo-romantic movement that ran counter to the Young Estonia formalist tradition.